Economic and enjoyable to drive with enough room to comfortably fit five, the Hyundai i30 is the perfect addition to busy family, or work life. 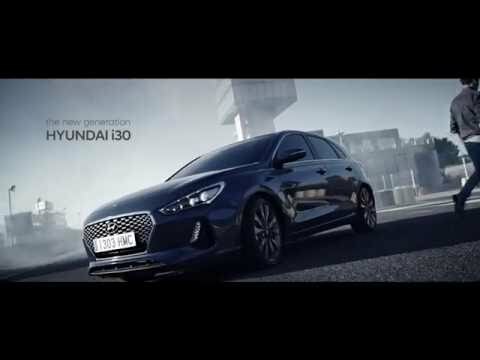 With lavished attention put into every little detail - from the outstanding quality of materials to the cutting-edge tech – the Hyundai i30 will keep you feeling and looking at the top of your game. The upright front of the Hyundai i30 is confident and expressive, celebrating the new ‘Cascading Grille’ that is characterised by a downward tapering gesture inspired by the flow of molten steel. The grille features chrome-plated dots for a sophisticated appearance that enhance the satin chrome surrounding on the standard version. In combination with the three-projector LED (low and high beam) headlamps and the vertical LED daytime running lights with indicator function, the i30 has a strong visual presence. To further enhance this, projector-type front fog lamps are integrated into the air curtains. The i30 offers plenty of space for passengers and luggage alike and does not compromise on interior roominess for its sporty exterior design. It makes driving comfortable for all passengers with segment-leading roominess. The feeling of space is enhanced by the optional panoramic glass sunroof which allows to tilt or to slide open. While driving the armrest can slides forward for the most comfortable position and may also be opened to access additional storage possibilities underneath. To enable customers to carry everything they need, the New Generation i30 offers generous luggage capacity of up to 395 litres (VDA 211) and a maximum of 1,301 litres with the seats folded flat. Practicality is enhanced with a practical two-stage luggage board and a ski hatch in the rear centre seat. The i30 has been developed and tested in Europe performing accelerated durability tests and dynamic testing on the most demanding race track in the world, the famous Nürburgring Nordschleife, as well as undergoing rigorous public-road testing throughout Europe from the coldest winter testing conditions in Sweden to trailer testing in the Alps and hot weather testing in the south of Spain to ensure that the high expectations of European customers are met. The development engineers have defined the characteristics of the i30; precise, natural and connected steering; agile, responsive and predictable handling; a dynamic ride without compromising comfort with good body control. Compared to its predecessor the motor-driven power steering is 10 % more direct and the vehicle response is 15 milliseconds faster. The i30 is powered by a range of small-displacement turbo charged petrol and diesel engines delivering a dynamic and efficient driving experience. There are three petrol engines and one diesel engine. All engines come standard with Integrated Stop and Go (ISG) system for increased efficiency. 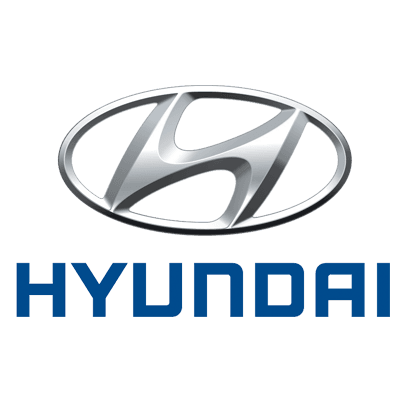 Hyundai Motor introduced its first seven-speed double-clutch transmission recently, combining the benefits of automated and manual transmissions. The 7DCT provides an improvement in fuel consumption and CO2 emissions of up to 20 % compared to a conventional six-gear automated transmission, while acceleration performance could be increased by up to 10%. The i30 is packed with a whole host of safety and tehnolcogy features to increase passenger protection and comfort. The new multifunction three-spoke steering wheel allows easy and intuitive operation of all functions through an ergonomically positioned operation controls and can be heated for enhanced comfort. The climate and temperature control is positioned conveniently in the centre console and can be easily operated through the dials without distracting the driver. The floating screen of the optional eight-inch navigation touch screen on the dashboard integrates all navigation, media and connectivity features and allows drivers to stay always tuned to the traffic ahead thanks to its ergonomic position. Smart connectivity features that most customers require make the New Generation i30 a smart, rewarding choice. Customers can choose between the standard premium audio system with a five-inch capacitive LCD touch screen with integrated dynamic rear-view camera, Bluetooth connectivity and My Music functionality or the optional new generation navigation system with an eight-inch capacitive touch screen. For drivers who want to connect their smartphones with the eight-inch navigation system the New Generation i30 provides both Apple CarPlay and Android Auto.